Manchester & Hong Kong based Isher Capital, the private equity firm for the contact centre industry based in Manchester and Hong Kong, is on the acquisition trail with a £20m warchest. The firm, which includes in its portfolio alldayPA, myalldayPA and ADP Call Centres amongst others, is aiming to drive revenue from its contact centre businesses from £30m to £100m. This will be completed by creating a network of eight to 10 contact centres spread nationwide; safeguarding jobs and growing the headcount of the portfolio companies from the current 500 to 2,000. 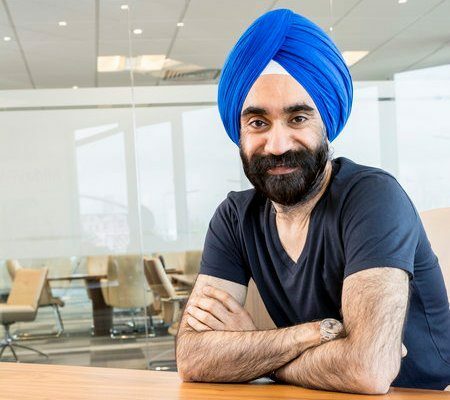 Led by group CEO Reuben Singh, the aim of the acquisitions is to use a £20m war chest to buy UK contact centres or related businesses and drive managerial and back office efficiencies using its tried and tested operating strategy. Singh and Isher Capital have over 19 years of experience in the contact centre industry, having built up alldayPA to be the UK’s leading call answering service and adding other contact centre businesses to the Isher Capital portfolio. With the UK contact centre market facing tightening margins and an impending increase of the minimum wage in April, Isher Capital predicts that market consolidation will be the way forward for the industry and has put in place the £20m fund to make acquisitions. “As part of our business plan, we want to use acquisitions to build our existing portfolio of four contact centres into a national network, rather than two or three supersized operations. This network of eight to 10 contact centre businesses across the UK we can satisfy demand for locally served, knowledgeable, support services. “Using our existing shared back office systems, such as robust IT infrastructure and HR, we can drive efficiencies and provide competitive high value contact centre services. We can also share innovation and investment in multi-channel contact services, such as social media and online chat, to meet growing customer demand to cover all options under one roof. “We are also looking to strengthen the board of the various portfolio companies and actively looking to recruit industry non-executive directors and senior managers to steer the investment. Isher Capital is a Boutique Private Equity Fund & Family Office primarily focused on providing immediate equity resourcing to Entrepreneurs & Owner managed businesses. Established to support businesses and entrepreneurs, its expertise lies in business growth, rescue and turnaround situations which require capital resources. Be the first to comment on "Contact Centre Private Equity House on the Acquisition Trail with £20m Warchest"